If your life story was a whole pie, only serve a slice of that pie, and only serve the slice of that pie that is relevant towards describing 1) why you want to become a PA specifically, and 2) why you would be an excellent PA.
You wrote all of these words and I still have no idea why you are pursuing the PA profession specifically, as opposed to any other healthcare position (MD/DO/RN/NP/DNP/PT/OT) where you can also help patients. Critical error: DO NOT USE CONTRACTIONS (I'm, wasn't). This is a professional piece of writing that is going to be read by professionals. Critical error: DO NOT CALL THE PROFESSION "Physician's Assistant", also DO NOT CAPITALIZE IT ALSO. It is physician assistant. You will get auto-rejected for this mistake/severely judged. Generally it is just not a well-written personal statement and needs revision and more focus and needs to stick to the prompt (why you want to become a PA and why you would become a fantastic PA). That is all that matters. No one is going to care about some ER encounter/your volunteer experiences/your trials and tribulations/basically anything you write about if they have nothing to do with why you want to pursue the PA profession and how your past experiences have shaped you into becoming a fantastic future PA. Note: this is not me saying that these personal experiences you have written aren't important in your journey to becoming a PA, I am just saying that at its current state, your writing does not exemplify/demonstrate why you want to become a PA and why you would become a fantastic PA.
"Suddenly, I’m enveloped into an embrace with an elderly woman; we maintain our stance for several minutes without parting. When we finally divide, I am held at arm’s length. The remnant of tears trace down the side of her cheeks as she speaks softly. “It will be okay, thank you.” Her words are reassuring, although I am unsure if they are truly allocated for me. We had attempted to resuscitate her husband in the emergency room for an hour without success. It wasn’t the sudden loss of life that caught me off guard, but the magnitude of the heartbreak I felt for the woman’s family that continues to resonate with me. This experience is part of what has made me realize that providing care within my community drives my passion to become a PA." -Not impressed by the hook/story. Does not relate to anything else you said in your PS. Do not use contractions. Very cliche. "This experience is part of what has made me realize that providing care within my community drives my passion to become a PA." -So non-specific and cliche, especially when this statement could have been applied to any other healthcare profession (MD/DO/RN/NP/PT/OT/etc.) You can provide care within your community by doing any of these jobs. So why PA specifically? "After six years of climbing the corporate ladder I came to the realization that I was spending the majority of my day agonizing about a bottom line rather than truly serving our clients." -Do not put any type of negativity in your essay. It just sounds like you hated your previous job. There are more tactful ways of addressing issues/difficulties you've faced in other professions. "I received the privileged, behind-the-curtain, opportunity to discuss their plans of care directly with physicians during depositions. This experience made me interested in medicine." -Also part of your job description/résumé. Why specifically was this important besides that it got you interested in medicine? Valerie, a single mother with two smaller children, described her youngest son’s severe disabilities, which had left him confined to a wheelchair. She discussed the difficulty of maintaining a job while tending to her son’s full time needs. She went on to explain the many hardships the family had as a result of financing his costly medical treatment. The paint brush in my hand almost seemed to shrink in size as I realized how minuscule my contribution to the community actually was. That day, with Valerie’s story burning in my head, I returned home and enrolled in school to become an EMT." -Way too long of a story. Also the story is super cliche and doesn't really get into your specific motivations for pursuing the EMT profession (let also the PA profession, which is what this essay is supposed to be about). This essay is not about Valerie, or her son. This is about WHY YOU WANT TO BECOME A PA AND WHY YOU WOULD BE A FANTASTIC ONE. Make it FOCUSED ON YOU. "I could not have fathomed that I would pursue a career in health care, and it is due to my trials and tribulations since completing my undergraduate work that health care has become an interwoven part of my identity. During my undergraduate program, I became discouraged, pursuing unfulfilling majors in multiple career paths. I lost my way during this time and felt disheartened with my education.﻿ Since I ascertained my devotion to become a PA I have excelled in my prerequisite course work and contributed over 1,000 hours to the underserved within my community while maintaining a full-time job. " -Super cliche. Also way too many flowery/emotional/unnecessary words ("could not have fathomed", "trials and tribulations", "interwoven part of my identity", "lost my way", "disheartened", "ascertained my devotion"). Also do not list you worked >1000 hours in an underserved setting, that is very inappropriate for the personal statement. "While volunteering at Puget Sound Christian Clinic I began to realize the restrictions of my EMT license. I lacked the education necessary to fully care for my patients that required ongoing medical treatment." -Just being devil's advocate, but what happens if you are a future PA, and you do not have the education (for example, compared to trained MDs/DOs) to fully care for your patients because they are very critically ill with many complex comorbidities that you have not been accustomed managing as a PA since you've only got 2-3 years of education versus 8+ years as an MD/DO? Would you then go pursue an MD/DO so that you can get the full education/training to fully care for your patients? (I'm just being picky, but just trying to point out the cliche-ness of the whole "lack of adequate training/knowledge" aspect of any job). "I was provided with the opportunity to collaborate with an interdisciplinary team and had my first interactions with a PA. My path to becoming a PA was illuminated after observing our PA’s calming demeanor when faced with managing patients chronic medical conditions while navigating difficult language barriers." -You can also manage patients' (this is the appropriate punctuation, not "patients") chronic medical conditions by being an NP/DO/MD. This is not specific to the PA profession at all. You also can navigate through difficult language barriers as an interpreter, so why PA? "Recognizing the limitations of my EMT license, I strive to assist my patients at a higher level of care and offer greater support to the underserved as a PA. I look forward to using what I learn in a Physician’s Assistant program to lessen the burden of health care expenses for individuals like Valerie and continue to connect to their families in my community in their times of hardship." -PAs have limits in patient care as well. You can assist patients in many healthcare roles, so why PA? 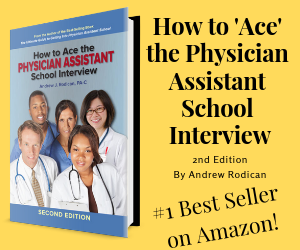 DO NOT CAPITALIZE physician assistant, and definitely DO NOT CALL US a physician's assistant. You can connect to families in your community in their times of hardship in many other roles besides the PA profession. So I have to keep asking you... why specifically PA? Anyways, hope that me overanalyzing/dissecting your current PS helps you come up with a better essay! Don't take any of these comments personal, they are mainly just thinking points/points of contention that potential readers in any ADCOM would think of when trying to deny you an interview to their program. Remember, they are trying to find any reason to deny giving you an interview, as there are many many competitive applicants! Good luck. Feel free to comment if you need me to elaborate on anything I've said (For reference, I got 9 interviews and I am going to my top choice this year)! (I also hope this helps anyone else trying to write their own PS as I touched on a lot of points that could be applied to other people writing their drafts of their essays). I like reading stories so I was (somewhat) engaged with reading your personal statement. With that said, your PS has too many stories and honestly they are stories that do not answer the question of why PA. I would start from scratch and really try to hone in on maybe 1-2 themes so your PS can be more cohesive. I personally would take out the Habitat for Humanity story, being on the corporate ladder, and your undergraduate pathway. They don't add anything valuable (I don't mean to be harsh) to who you are as an applicant and a future PA. Also, the only bits that were about the PA profession was when you encountered one. Maybe expand on that experience or touch more on your EMT experience (maybe about skills, compassion, etc vs downright saying you couldn't really help the overall outcome of the patient). I can also understand your reasoning for putting the opening story but it doesn't contribute anything other than some drama. The amount of times I read PS openings with a similar story to yours, makes it boring and not unique. Additionally, have a conclusion that is STRONG and is able to tie in all of the themes you incorporate into your PS. The conclusion is more important than the introduction (at least in my opinion anyway). Please don't take my advice personally! I went through many drafts (and weeks) before coming up with my final PS. Make sure every word and every sentence is valuable to who you are as an applicant and how it is applicable about why you want to be a PA. Be specific about the PA profession, otherwise what you write may also be applicable to any other healthcare position. Best of luck! Side Note: I initially had a 2.8 GPA freshmen year and worked my tail off to get where I am now. After I transferred to a new school beginning Junior year I made 24 A’s to 7 B’s with no C’s or D’s. I know schools take into account upward trends and if that isn’t one then I don’t know what is! I appreciate any feedback. Thank you all! *Added some updates so I decided to bump! Average Applicant- Rate my chances? I am taking a gap year following my undergraduate at the University of Idaho, and applying this cycle in May of 2019. I am terrified of being denied entry, I feel that there isn't much that stands out in my application. I am doing an impressive internship this summer, but will be applying before it begins. I hope to matriculate into a surgical career, but am keeping my options open at this point. Please give me your 100% candid feedback. I'm an Idaho resident, from a medically underserved area btw. This week, I am continuing my series on the most common personal statement mistakes. If you didn’t catch part one, check it out here. Below, you can find five more mistakes that applicants make when writing their personal statements. Writing About Something That Makes You a “Good Applicant” - Referencing being a “strong applicant” in a personal statement is not something I am a huge fan of. Your goal throughout your academic and clinical experiences should be to build a foundation that will make a better PA student and a stronger PA. It should not be about checking off boxes just because you think that it's what adcoms want to see. Don’t list off your extracurriculars in your personal statement, including things because you feel that they make you a “more competitive” applicant. This essay is not a resume. Instead, write about experiences that you’ve had that are central to your decision to pursue this profession, not about those that you think adcoms want to hear about. Addressing Difficult Topics the Wrong Way - To include or not to include… that always seems to be the question. Whether it’s bad grades, mental health issues, struggles with addiction or other life tragedy, it’s hard to know what should be addressed in a personal statement. I find that when applicants choose to include difficult topics, they focus too much on the negative without emphasizing the positive while including lots of unnecessary details. They often don’t even mention how their experience was relevant to their journey towards the PA profession at all. The big takeaway here is if you are going to touch on a difficult topic in your personal statement, make sure that it's an integral part of your journey before dedicating characters to it. If you have decided to include it, the best thing you can do is be concise about shortcomings/difficult subject matter/etc. Don't dwell on the negative. Instead, emphasize how you addressed the issue whether it's mental health, grades, chronic illness or whatever other issue or circumstance you experienced. Did you grow from it? Did it push you towards the profession more? Did it motivate you to change something? Explore that. Forcing the Reader to Read Between the Lines - I can’t tell you how many times I highlight a sentence and make the comment, “Why?” Applicants will often say something like, “Being a paramedic/scribe/MA/EMT made me want to become a PA. It was a great experience.” But, why?! What exactly was it about this experience that drove you to pursue your goal of becoming a PA? When sharing your experiences, make sure you say exactly what you want to say. Don’t force the reader to make inferences about your feelings and insights. Using Passive, Questioning Language - This one seems minor but it can change the entire tone of your essay. Let me give you an example - “Some of my grades in my undergraduate career were not stellar, but I think that with my recent successes I am likely more prepared to take on PA school. I know it will be a challenge but I feel I could be ready.” Try to avoid using terms like, “I feel… I think… Could… Would... Probably… Likely…” when projecting your future success. Be certain of yourself in your language and your tone. Reframing this and emphasizing some stronger language - “Although I occasionally struggled early on in my undergraduate career, my more recent successes are a reflection of my true academic ability. PA school will be a challenge, but I know that I am ready and more prepared than ever to take it on.” In this iteration, you’ve said that your recent successes are reflective of your abilities, not that “they might be.” You have said that you “know” you are prepared to handle PA school as opposed to just “thinking” you could be ready. Flowery Language - Last, but definitely not least, flowery language. This one is an essay killer. “The morning was crisp and bright when I stepped out my creaky, old door. I noticed the beautiful, pink rose sprouting from the green bush, covered with dew droplets on petals that were as bold and stunning as they were fragrant.” This is drowning in unnecessary descriptors. Please, don’t do this. Adcoms don’t want to read this. You probably don’t even want to read this. It’s all filler. Tell an engaging story but avoid using flowery, overly descriptive prose that says absolutely nothing while taking up an offensive amount of characters. Be concise and intentional with your writing.